Food poisoning after going to the beach: Your esky has the secret. Taking food to the beach? This is how you should pack your esky. There’s nothing quite like a day on an Aussie beach going between the sun and the waves, with an esky packed full of your favourite snacks. With summer finally here, I know I’ve been spending most of my weekends horizontal on a beach towel in the sand. But there’s one thing us beach lovers don’t always think about when packing food and drink for the hot weather outside. It turns out, to avoid getting sick, we need to know more about the best temperature to keep hot and cold foods in our eskies. 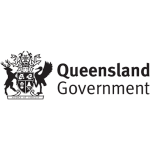 In Queensland alone, there were 4261 cases of Salmonella notifications received during the past year. Can you imagine how many instances have gone unreported? Foodborne illness is increasing in Australia and we need to be especially careful in summer as bacteria multiply faster in warmer temperatures, and preparing food outdoors makes safe food handling more difficult. So what is the best temperature to store the hot and cold foods we’re packing? Are some foods riskier than others if you’re spending an entire day out? And is there an ideal way of packing your esky to avoid contamination of raw foods, cooked foods and drinks? We have the answers to all of your questions, thanks to Queensland Health’s Feel Good Facts resource. Are some foods riskier than others if you’re spending an entire day out? 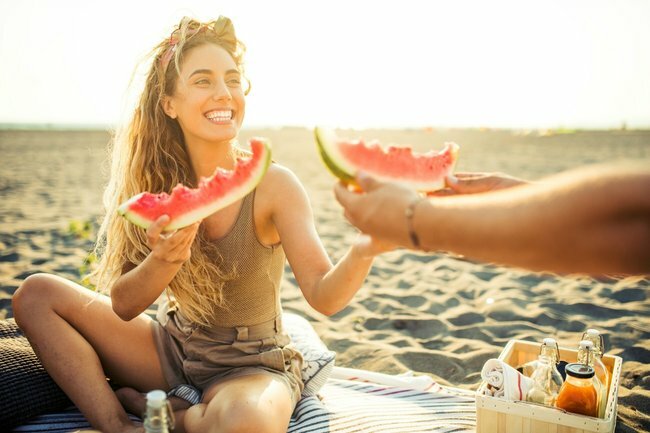 Some foods to avoid if you&apos;re planning a trip to the beach. Image via Getty. 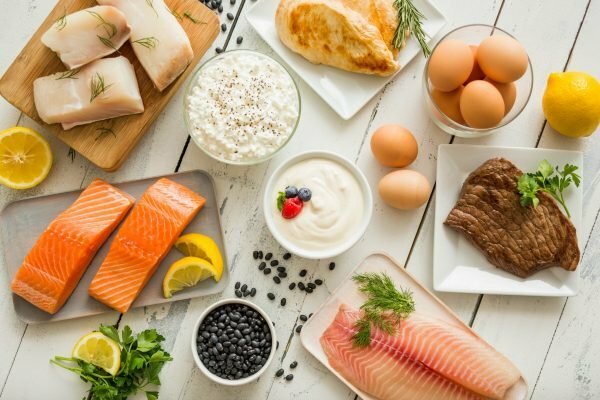 The answer to this question is yes, harmful bacteria that can lead to food poisoning can grow more easily in and on some foods than it can on others. These ‘potentially hazardous’ foods support the growth of bacteria that might cause you to become sick. 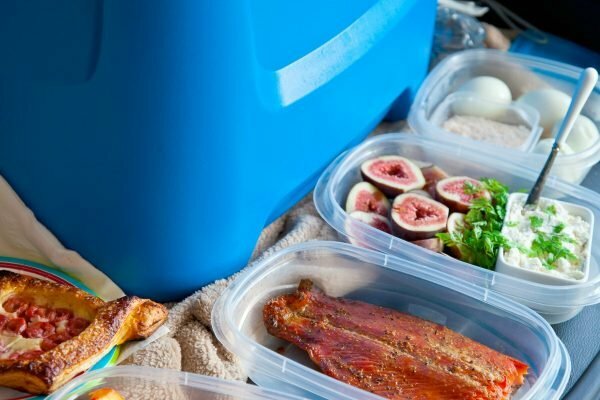 How should we pack hot and cold foods for the beach? Four hours or longer, it must be thrown out. You should steer clear of potentially hazardous foods unless you can keep them cold (5°C or lower) or hot (60°C or higher). At the beach this is unlikely so if you&apos;re unsure, it&apos;s safest not to eat it. What&apos;s the best way to avoid cross-contamination of foods? There happens to be an ideal way of packing your esky to avoid cross-contamination of your food. The safest option is to use separate eskies: one for your raw food, one for your cooked food and one for your drinks. This is the best way to avoid cross-contamination of harmful bacteria often contained in raw foods such as meat, seafood and vegetables. However, if you have to store your food and drinks in the same esky, there is a recommended way to do it. To begin with, if you&apos;re going to be cooking at the beach, make sure you store any raw meats and seafood in separate leak-proof containers in an insulated cooler and keep them separate from other food or in the bottom of the esky. All foods should be carefully wrapped and kept in separate containers. This is to prevent your foods getting soiled and decreases the chance of cross-contamination from raw foods to cooked foods. No-one wants to get sick from an accidental leak (besides, it&apos;s messy too). All foods should be carefully wrapped and kept in seperate leak-proof containers. Image via Getty. Cooked foods, fruits and salad ingredients should be stored above the raw foods as well as securely wrapped and protected. This is to prevent juices from coming into contact with other foods. Using plenty of ice and cold packs around the food is helpful too and make sure to keep your esky closed as much as you can to avoid temperature loss. So by making sure we maintain the temperature of our food as best we can, packing foods that are less hazardous than others and packing our eskies in the right way, we can avoid getting sick with food poisoning. We all want to have a great day at the beach, snacks and all. With these tips, hopefully we all will this summer! For more food safety tips this summer, visit Feel Good Facts. What is your go-to beach snack? Tell us in the comments section below. Feel Good Facts are fun-sized chunks of information giving tips on how to make the Queensland life feel even better all year-round. Find out more here.